Henning Mankell is the author of the Kurt Wallander series of Swedish crime novels. If Mankell did not invent the type of crime novel now known as the police procedural, he was an early and unusually skilled author of the genre. His novels are always meticulous in investigative detail and in the gathering and collating of forensic evidence. The books also gain veracity by the full development of minor characters: the person who discovers the crime, gives evidence and then disappears from the scene, is nevertheless fully described and is well known to us before exiting the stage. In fact, the first to discover this crime was a wolf: “a young male that has set out to find territory of his own.” The landscape and the weather are meticulously and indeed lovingly described; it wasn’t just cold: “frozen snow, severe frost. Midwinter.” It is “early January 2006″. This book, one of his last, is a departure from the usual crime novel. As usual, it begins with a horrific and wholly inexplicable crime. Early on, there develops a connection with China, and from that, further links to Africa and Amerlca. 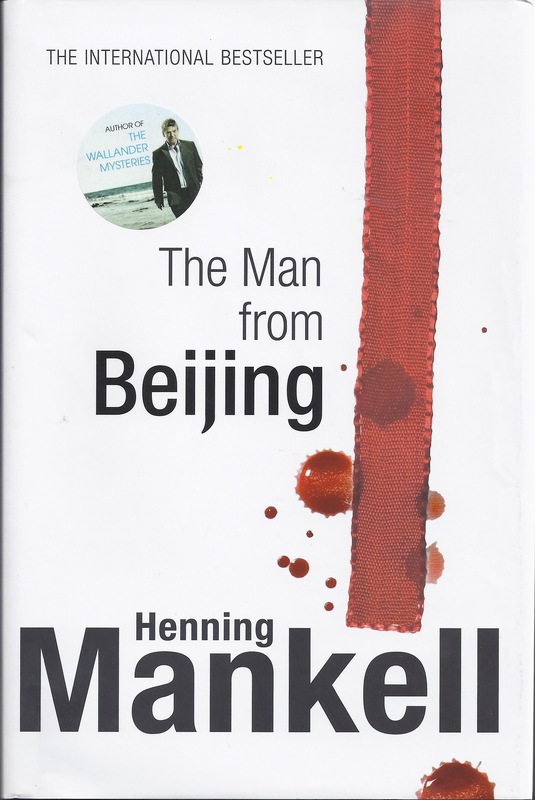 The crime in Sweden, then, is largely a Macguffin to allow Mankell to focus on his real interest, which is in Africa (he has lived much of his adult life in Mozambique), and in Chinese interests and designs there. He is of course neither the first nor the only one to look askance at Chinese relations with several African states: steadfast Chinese support for and protection of the regimes of, for example, Sudan and Zimbabwe, has puzzled and frustrated many in the larger international community. A Macguffin, by the way, can be purely a plot device, and its details really don’t matter. The grandmother of all Macguffins must be The Glass Bead Game, about which in the course of Hermann Hesse’s most famous novel we learn almost nothing. We learn just about as much about the Game from Hesse as we learn about cricket from John le Carre – and it doesn’t matter at all. But this is not Mankell’s way, and the investigation into the crime is as thorough and as riveting as we have come to expect from Mankell – even though the real interest to us lies elsewhere in place and in time. So we turn now to what clearly is that real interest, and Mankell’s true purpose in writing this novel. The Chinese have determined not to be swayed by criticism of their policies and practices in Africa, which in other eyes are supportive of the worst abuses of human rights, and the resulting creation and subsequent persecution of vast waves of refugees. Thus, when touring Africa in April 2006, Chinese President Hu Jintao said (according to the Washington Post) that China will make “business deals without any expectation that governments will improve democracy, respect human rights or fight corruption. He told reporters in Nairobi, the last stop of his tour, that China follows ‘a policy of noninterference in other countries’ internal affairs’. In 2008, China’s trade in Africa increased by 45%.” (See http://www.washingtonpost.com/wp-dyn/content/article/2006/06/12/AR2006061201506.html accessed 23.02.2016). The opportunity (afforded by the Macguffin) to move the action to Africa and to a discussion of Chinese aims there, brings Mankell to his denouement. What comes next is logical, and as shocking to that imaginary sub-plenary as it will be to you when you read it – but for now, and especially for those of you who haven’t already read this book, that’s enough about that. Those of you who have read the book, may wish to ponder whether or not this is colonialism – Yan Ba stoutly maintains it is not. However, we might remember that China and Africa have nearly the same populations, but Africa has over three times the territory of China, thus Africa has just under one-third of the population density of China – and Africa has 54 national governments, while China has one. Was Mankell’s art imitating life here? or just very cleverly anticipating it? 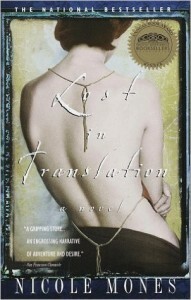 Mankell set this novel in 2006, and it was published in 2008. Thus he was probably at his desk just as the real President of China said, in Africa in 2006, just about what Mankell’s fictional Yan Ba had prepared, at the Compound of the Yellow Emperor, for him to say. In his books Mankell often makes several major, and seemingly effortless, transitions – this is also one of his strongpoints. This book swings into and out of three centuries, four continents and two major plots. Thus we are, post-denouement, brought smoothly back to the by-now nearly forgotten Macguffin, the terrible crime in Sweden which opened the action. This is now dealt with in a series of really astonishing but entirely believable incidents, which make the conclusion to the show almost worth the entire price of admission. Very sadly, there will be no more of these wonderful books. Henning Mankell died on 5 October, 2015. He was 67. We will miss him greatly, but we will re-read the books, and re-view the re-runs, and we will be grateful. 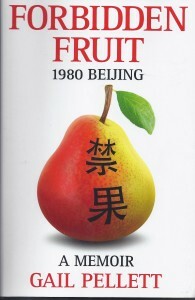 Gail Pellett has written in her blog (gailpellett.com) that, while working on the final drafts of her memoir, Forbidden Fruit (see next), she deliberately read little about China, as she did not want to be influenced by more recent writings while she laboured to write authentically of her experience of China in 1980. One exception to this was the work of Nicole Mones. Her novels of China, like Gail’s Memoir, describe the very tentative opening, in the 80s, of a country still comparatively conservative and far from democratic. Lost in Translation concerns a 1980-ish quest to recover the bones of Peking Man, first discovered near Beijing in the 1920s. In charge of the excavations there from 1934-41 was Pierre Teilhard de Chardin (1881-1955), a priest, geologist, anthropologist, and paleontologist. The bones were to have been evacuated to safety in 1941, but they were lost and have never been recovered. 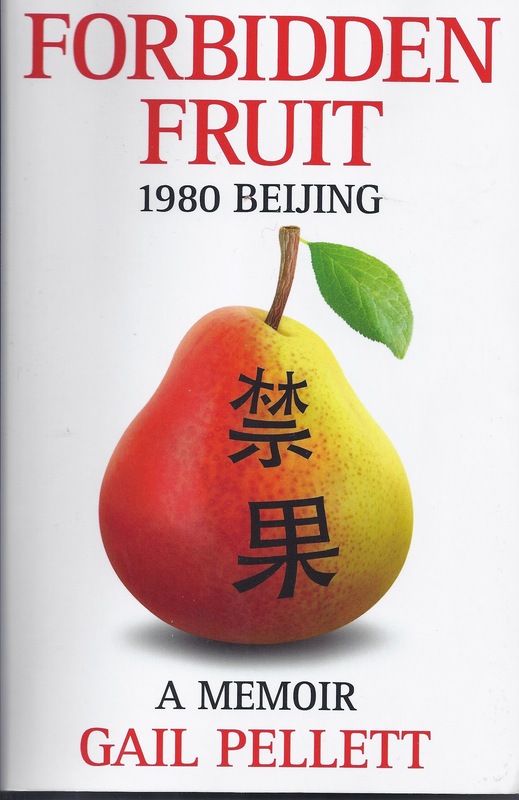 This novel tells of a 1980s attempt to recover them, from a rumoured cache in China. The quest is based on information from the grandfather of the American professor who thinks he is now on the right track: the grandfather was a friend of de Chardin and had information directly from him that the bones never left China; they were hidden by him (de Chardin) in the now largely forbidden north east of the country. It is the time of “the Open Door”, and the Chinese officials, whose permissions the searchers need, are tempted to allow the foreigners what was at that time unusual freedom. This is in no small part because they believe that the bones would disprove what they see as the calumny that the Chinese are descended from Africans – negroes, whom they traditionally despise. Assisting the American team in the search is their translator, a young American woman named Alice Mannegan. She is 36, an object of scandalized curiosity to the Chinese because, among many other unusual things about her, she is unmarried. Her skills go far beyond her remarkable fluency in the language: she has achieved a truly cross-cultural affinity which enhances her value to all aspects of the search. As one Chinese official realises of her, she wants to become Chinese. And it is this remarkable cross-cultural facility of Alice which is our single quibble with this very fine, engaging and educational read – she is too good. She is like a deus ex machinas: leaping in everywhere, solving problems far beyond what we would expect of her, becoming almost the deputy leader of the team of searchers. We’ve worked with translators a lot, and it has more often than not been our experience that Alice Mannegan is just what translators and interpreters more usually are NOT: they often have little beyond language skill to offer, they too often have little knowledge of the field in which they are working, and their work must be constantly checked and reviewed. That quibble aside, the novel, as are all of Mones’ works, is entertaining, informative and very useful. Just as Gail did, we read it while waiting for her book to be born, and it made the wait all the more worthwhile. Gail is NOT Alice Mannegan: Gail struggles to achieve a bare familiarity with the language, but the challenge is too great and, as it develops, her time is too short. She knows people somewhat like Alice: “mish kids’, she calls them, as they are largely the children of missionaries. Born and raised in China, they have been too often raised with no culture of their own: the arch type of this was Henry Luce. Gail mostly avoids them. The “Door” opening notwithstanding, it was in 1980 apparently just too soon for real changes in attitudes, especially towards foreigners. The language is not the only barrier; a more serious challenge is the “hosts'” systemic xenophobia. To Gail’s deepening dismay, that distrust often focusses on those she is attempting to befriend, and they are eventually made to feel first uneasy and then directly threatened by her overtures. Finally, she comes to see her efforts as being not only deliberately thwarted, but causing real danger to her colleagues and those to whom she hopes to become close. “Survellance, mistrust and authoritarianism” in the end, win out, the real job she was invited there to do proves undo-able, and Gail cuts short her stay and returns to the U.S.
My first general reaction to Gail’s book is a sense of a shared intimacy in the writing/reading process: she is writing to me, and as I read I am listening very intently. I think that this dynamic in the exchange between author and reader is rare, and makes the reading experience a very active one. This lends an astonishing immediacy to Gail’s writing, despite that she is describing events of a generation ago, and there is, for a work of non-fiction, an unusual degree of self-revelation. This gives this book an almost novelistic feel – but it is real, it is a memoir. This is a wrenching book, especially for those of us who have lived outside our own cultural and linguistic envelope for much of our working lives. You usually don’t even know what you don’t know, don’t know what you are missing – probably lots of both. Gail shows remarkable courage in this undertaking, and in sticking it out for as long as she did. Credit is also due to her publisher, Van Dam, who has produced a most handsome book. The maps are of the justly famed Van Dam quality and thus readible and attractive. A “China Time Line” inside the front cover is also very useful. I think it’s the best book I’ve read so far in this still-young year, and I’m sure it will be one of the books I’ll want to re-read. This is definitely a desert island – or at least a Sanibel Isand – book. P.S. : As I was drafting this, Gail’s book became available in the Kindle edition, thus making it even more island-able (so long as your island has electricity, that is). Historical novels can be powerful carriers of complex messages, particularly they can impart a genuine feel for a period not our own, with values and cultures often antecedent to but now not at all ours. These two novels succeed in imparting realism and immediacy to situations which we could normally not otherwise access in this way, or to this degree. One major structural advantage of a novel over a non-fiction work is dialogue. Dialogue helps us to empathize, where non-fiction works cannot. In non-fiction the empathy is up to us: either we care or we don’t, and the history books leave it up to us what, if anything, we make of our reading, if we read it at all. Thus the American Civil War novels of Michael and Jeff Shara speak more powerfully to my children’s generation, than might the definitive histories such as the Army of the Potomac series by Bruce Catton. The two novels reviewed here are carefully and authentically imagined, and will do much to help a careful reader over some yawning cultural gaps. But Gail Pellett’s memoir, in its unusual intimacy, frankness and fluency, engages us just as a novel might have. If this were fiction, narrated by the central character, it would be an astonishing novel. As it is, it is an absolutely unique form of a memoir, and it reads like a novel. And as with a good novel, I look forward to the summer’s day by our lake when it comes out of my boat bag to be read again. These three books offer a convergence – cross bearings on a China in fiction and in memoir, covering a period of a fourth of a century of especially interesting times. Taken together they will be extremely and usefully informative – minding us not least of those gaps. Thanks for a fascinating book review. Living in Vancouver, China is a reality of the Pacific Northwest, maybe as never before, and any insight is most valuable. I will surely read these three books. Also hanks for the Guardian article om journalism. Unfortunately, CBC TV, and to a great degree also CBC radio, have gone downhill. The CBC national news are now a sad joke. Perhaps as article like this one was/will be read by CRTC and influence for the good. Warm wishes to both of you; your blog is greatly appreciated. Thanks for your kind and well-thought words, Noemi, it is good to hear from you. We are well and still active, and would like to write about what is going on: Brexit, the non-putsch in Turkey, refugees in Europe, racial unrest and terrorism everywhere – the choice of troubles and conflicts is staggering. Hard to concentrate, under the circumstances.